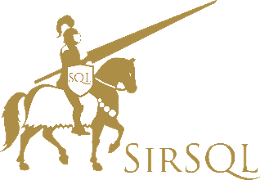 If you’re reading this then I’m sure you know all about SQL 2012 which just went RTM and will be available for general release on April 1st. I’m sure you’ve also heard all about some of the big new changes such as AlwaysOn with readable secondaries, ColumnStore indexes, and FileTables. Missed in all the big announcements are some of the smaller things that make a huge difference in the day to day running of SQL Server. I’m going to put together a few posts outlining some of the smaller, but to me equally significant, changes that are in the new version. This is a very welcome addition. Prior to SQL 2012 you would have to create a separate login and user for each user in a windows group and then set the default schema for each, that’s a lot of administrative hassle eliminated. In my last post I wrote about the great things that xp_logininfo can do for you, like tell you if a user account has access and if so the permission path for that access. It also allows you to find out the membership of groups that have logins. There’s a problem with xp_logininfo however. If you attempt to query a group that contains a group you won’t get any of the information around the members of that second group. It’s a serious limitation of xp_logininfo. Here we have three users and a group. If we query this we expect to see members of all the groups, however as xp_logininfo is not recursive we only get the top level group membership. I see this as an issue, as such I’ve created Connect item 718737 to get this fixed. Please go vote and help make SQL Server better. It’s always good to know what users have access to your SQL instances but when it comes to Active Directory users and groups it can quickly become complicated and you might not know who has access at any given time. Requests can come in for you to provide access to a user, but how can you identify if that user might already have some level of access? That’s where xp_logininfo comes to the rescue! As you can see it told me that the account I passed in is a user, it has admin level privileges on the server and that the access for the account is provided via the awesomesauceDBAs group. This is a nice quick and easy way to see who has access on your systems via group membership.